Train for Change Inc.® is a training and consulting company specializing in customized training on The ASAM Criteria, Motivational Interviewing, and other behavioral health modalities. Scott Boyles is a gifted trainer and an extraordinary communicator who knows how to maintain an engaging connection with his audience. This training was a comprehensive, well organized, thorough, entertaining, and meaningful presentation of a complex assessment and treatment modality that was expertly broken down through hands-on exercises, visual aides, and written supplements. The trainer managed present the core components related to the ASAM and eventually get us to the point where they all fit together like a completed jigsaw puzzle. Train for Change Inc.® provides training solutions that matter by focusing on how people change. All change happens through the same broad process of self-awareness, discovery and action. Our training curricula focus on evidence-based practices that tap into this process and harness people's genuine desire and motivation to learn and enhance their skills. Based on more than 20 years of research, we use proven strategies to transfer skills that last. Our system promotes real changes in organizations and leaders. We provide training that matters. Using the criteria and implementing it at an organizational level can be a challenge. 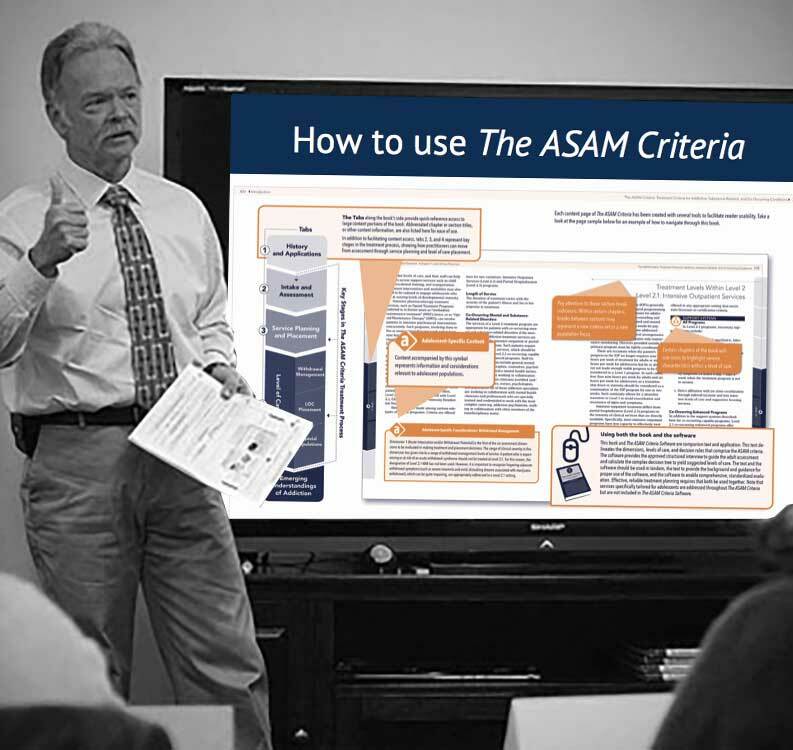 These trainings prepare learners for real-life application of the ASAM criteria. Motivational interviewing has wide application to behavior change. Our trainings provide foundational knowledge of MI, as well as skill practice of key motivational interviewing strategies. Leadership is a skill that can be developed and refined. These trainings focus on engagement, using skill practice to improve communication, develop empathy, and enhance collaboration. Learn and practice skills to deliver the best in evidence-based practices in behavioral and mental health. These trainings focus on skill practice in evidence-based practices that are proven to work. We can customize curricula to suit your needs.